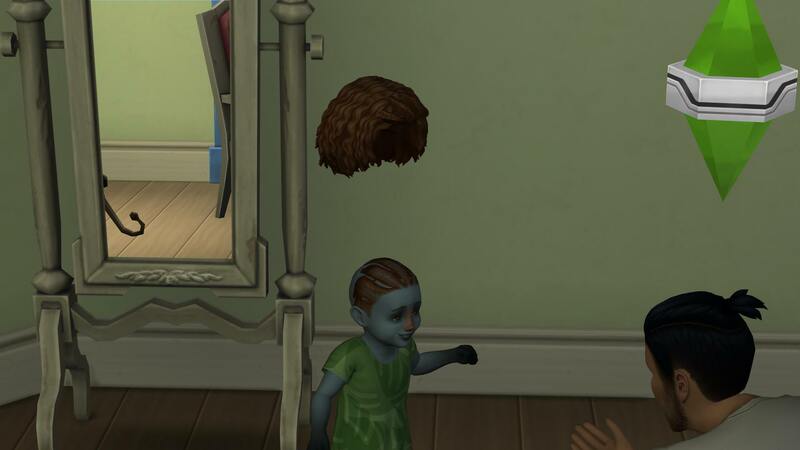 [All] Sims Do the Darndest Things! Pixelated Puddings Forum Gallery General Screenshots [All] Sims Do the Darndest Things! 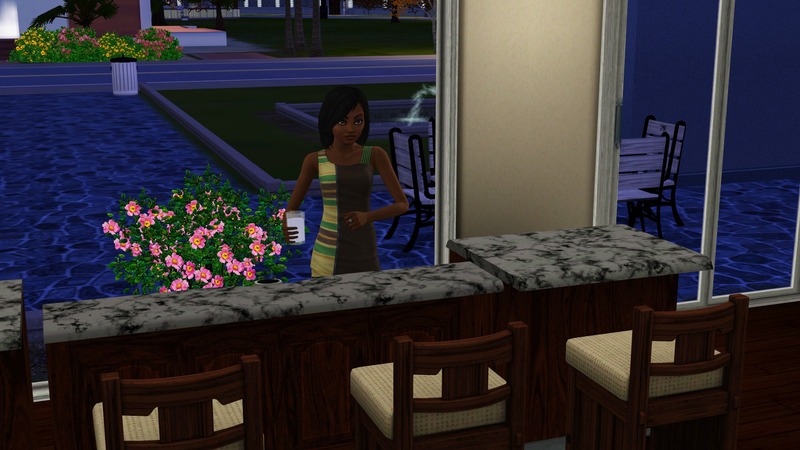 What awkward or embarrassing or otherwise blooper-ish things have you caught your sims doing in the game? 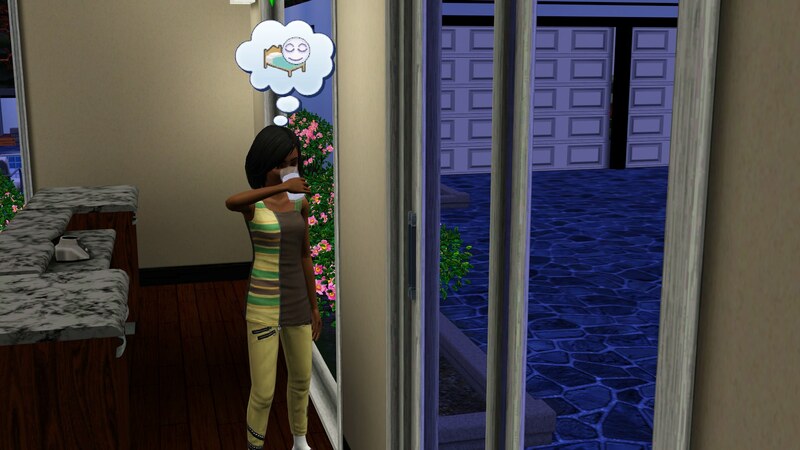 Edit: I intended this thread to be about funny things the sims do on their own, and not so much bugs in the game. Those go in the actual bloopers thread. I’m sorry my wording was confusing! To start, a little background. My longest-running gameplay save so far has centered around Juho and Weronika, two of my favorite TS3 sims, living in St. Claire. I always started St. Claire with the unpopulated version, especially as the populated savegame always crashed due to bad interactions with my graphics settings, so I needed a quick way to populate a very sprawling world on short notice. I tend to like the SV townies best, so I used NRaas Porter to settle most of the SV population in St. Claire. Weronika is an artsy type (I play her as a dancer using Missy's custom Dance career, though I've been working on an actual Ballet career on-again-and-off-again), so she quite immediately hit it off with Morgana Wolff when they met in the park on the fist day. Juho, on the other hand, works in law enforcement, and this puts hm in direct contact with... *dun dun dun* Justine Keaton! This probably doesn't mean much to anyone else, but in my game, for whatever reason, Justine is the sim who wrecks marriages, including her own. In an earlier game, she made constant overtures toward another sim of mine in the police career, and eventually left her husband to shack up with him... she brought their baby with her, and I had to ragequit that save with a mixture of disgust and sadness when one day Marty came up to the house to kiss his baby son goodbye and left without another word. And this time it was no different. Justine had a pick-up line at the ready the moment Juho got his job, and even when off-duty, was calling him on his cell at least three times a week, sometimes even sending very... inappropriate text messages. And apparently, the Keatons were friends with the Wolffs, so this made things even more awkward. Okay not sure if this is somehow related to bloopers but when the 4th baby was born in my 2nd generation family, that baby didn't have hair at first. Later I saw his hair floating above his head. Not sure what happened there. Seems like the kid wore a hairstyle which was made only for children. Those photos of Juho never fail to crack me up! Ha ha ha, I love how Justine is looking at him the whole time like she's waiting for some kind of reaction! I play in St Claire at the moment, and moved here the Whitefield family from Starlight Shores. The daughter, Lela, struggle with school at the moment. Maybe she is in that delicate part of teenagehood, where you experience things and challenge parents authority, because instead of going to bed like all the other members of the family did, she stayed up ALL night drinking at the bar in secret (no need to say that she was drunk all day at school after that). Until her mum came down at 4:30am. After clapping in her hands, her Mum came to chat with her without even talking about her daughter's drinking problem. (08-02-2018, 10:18 AM)Margot Wrote: After clapping in her hands, her Mum came to chat with her without even talking about her daughter's drinking problem. 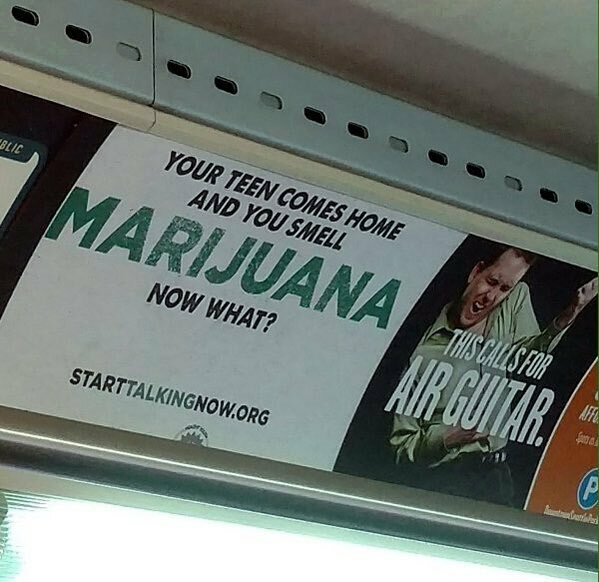 Spoons, when you look again at that shot, it almost seems to say, "Your teen comes home and smells of marijuana. Now what? THIS CALLS FOR AIR GUITAR!!!" Margot, your poor teen! For one thing, she has that drinking problem. For another, she's just seen her mother in her skimpy undies! The leaves are rotting, full of bugs and ON FRIGGING FIRE, but that's not enough to keep him from playing in them.